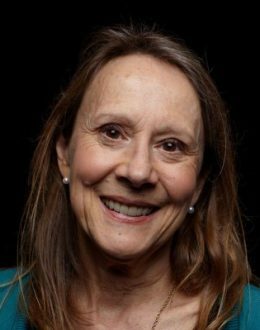 Esther Dyson is a former journalist and Wall Street technology analyst who is a leading angel investor, philanthropist, and commentator focused on breakthrough efficacy in healthcare, government transparency, digital technology, biotechnology, and space. She has devoted her life to discovering the inevitable and promoting the possible. As an investor/commentator, she focuses on emerging technologies and business models (peer-to-peer, artificial intelligence, the Internet, wireless applications), emerging markets (Eastern Europe) and emerging companies (Cybiko, Sourceree, Trustworks, CV-Online, Brunswicks Direct*, Newspaper Direct, IBS, and others you will someday hear of). In 1994, she was one of the first to explore the impact of the Net on intellectual property (among other things, why Bill Gates now plans to offer software as an online service). In 1997, she wrote a book on the impact of the Net on individuals’ lives, „Release 2.0: A design for living in the digital age”. Dyson is the chairman of EDventure Holdings which publishes the influential monthly computer-industry newsletter, Release 1.0, and sponsors two of the industry’s premier annual conferences, PC (Platforms for Communications) Forum in the US and EDventure’s High-Tech Forum in Europe. In addition, she donates time and money as a trustee to emerging organizations (the Santa Fe Institute, the Eurasia Foundation and bridges.org). In November 2001, she finished a two-year-term as founding chairman of ICANN, the Internet Corporation for Assigned Names and Numbers, the international agency charged with setting policy for the Internet’s core infrastructure (technical standards and the Domain Name System) independent of government control. After graduating from Harvard in economics, Dyson began her serious career in 1974 as a fact-checker for Forbes and quickly rose to reporter. In 1977, she joined New Court Securities as „the research department”, following Federal Express and other start-ups. After a stint at Oppenheimer covering software companies, she moved to Rosen Research and in 1983 bought the company from her employer Ben Rosen, and renamed it EDventure Holdings. The daughter of an English physicist and a Swiss mathematician, Dyson started traveling in Eastern Europe in 1989 and eventually helped to fill the small but vital vacuum at the intersection of Eastern Europe, high-tech and venture capital.